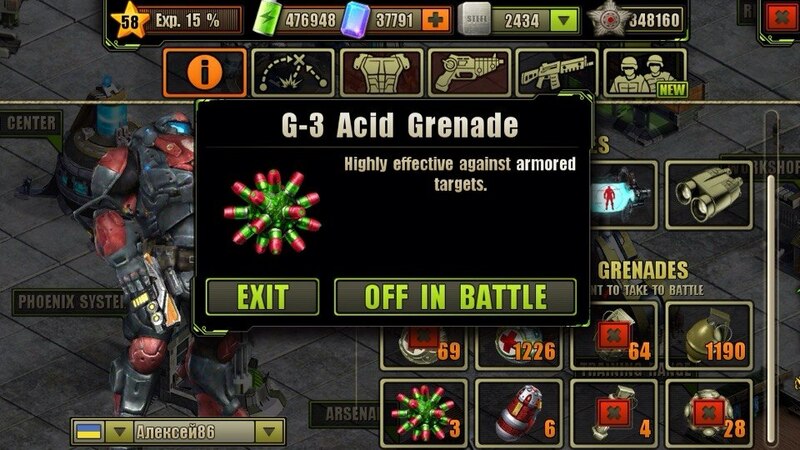 A powerful Acid Grenade in your pocket, among other Ammunition, can be a big surprise for armored enemy in the Evolution: Battle for Utopia game. – Acid Damage. Good for unarmored targets (100% damage) and just brilliant for armored (130%). This type of damage is also common for grenades (3 of 9). The best Grenades in the Game. To keep some valuable G-2, G-3 acid grenades you have during easy combats, you can tap on them in your profile screen and don’t take them to those battles. Do You Want to Take G-3 Acid Grenades to Next Battle?